bobber. A large gizzard shad was used with a stinger and placed 35′ behind the bobber then the bobber was put 100′ behind the boat. 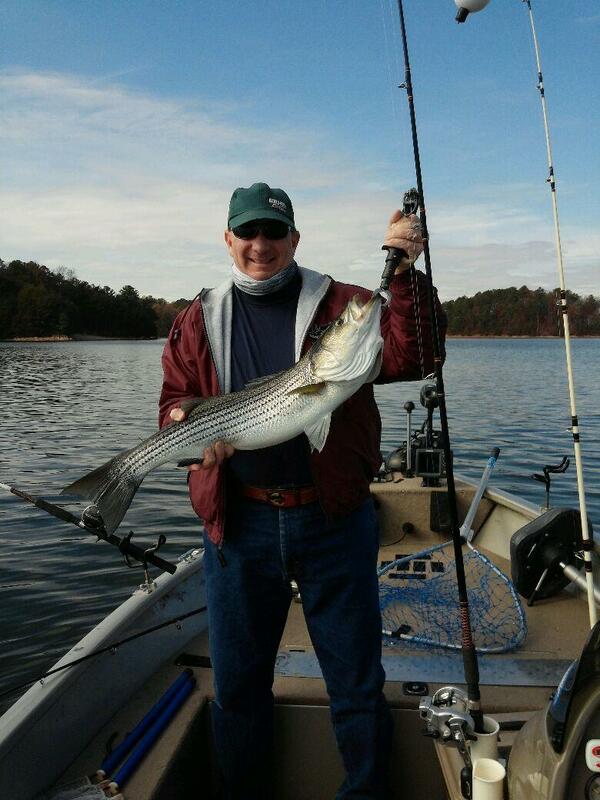 The striper fight lasted 15 minutes.